If you've been chomping at the bit to get behind the wheel of an aerodynamic Chevrolet Camaro sports coupe but didn't think you could afford a new one, consider purchasing a used Camaro. You can be the owner of this muscular masterpiece with a budget-friendly price from Jim Norton Chevrolet in Broken Arrow, OK. We have a large selection of used Chevy Camaros in stock and we'd love to give you the keys and have you rev the engine. Before you know it, you'll be signing papers and zooming back to Tulsa, Tulsa County, or Wagoner County in your new-to-you used Chevrolet Camaro and loving the power! A late-model used Chevrolet Camaro is loaded standard features that you'll find on either the convertible or hardtop models. A hefty V6 or robust V8 engine, manual or automatic transmission, Bluetooth, daytime running lights, power mirrors, ABS brakes power windows and door locks, cruise control, remote keyless entry, an AM/FM/CD/MP3 audio system, automatic headlights and steering wheel mounted controls are some of the magnificent equipment you'll find on every late-model Camaro. 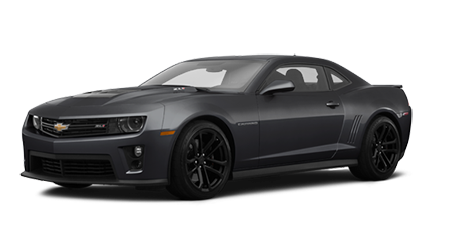 A Certified Pre-Owned (CPO) Chevrolet Camaro from Jim Norton Chevrolet is held to even higher standards than our regular pre-owned cars because its factory reconditioned. To qualify, a used Camaro must be from the 2009 model year or newer and have less than 75,000 odometer miles. It then goes through a rigorous multi-point inspection by Chevrolet factory-certified mechanics, using only genuine Chevrolet replacement components. The CPO Camaro must also include a CARFAX vehicle history so you can confirm it has a clean bill of health before its certified. Peace of mind continues with a Certified Pre-Owned Camaro because it also comes with an exceptional 3-day/150-mile satisfaction guarantee, where you can exchange it if it’s not up to snuff for you, plus two warranties: a 12-month/12,000 basic warranty and a 5-year/100,000-mile powertrain warranty. And did we mention every CPO Camaro gets the same 2-year/24,000-mile free scheduled maintenance benefit afforded all new Chevrolets? Well, now we have! And you'll also get a 3-month trial subscription to SiriusXM and Onstar Directions and Connections if your CPO Camaro is equipped as such. Getting pre-approved for an auto loan is simple via the Jim Norton Chevrolet website and our quick, secure credit application. Within moments, you'll know your financing options for your used Camaro. No need to fret if your credit has a ding or two, because our Finance aces can arrange a loan for just about anyone through our multiple lending sources. You'll be garnering attention wherever you corner around curves in Tulsa, Tulsa County, and Wagoner County in your new used Chevrolet Camaro. The sales team at Jim Norton Chevrolet would love to make you a fantastic deal right now, so come on down!